Logo donated and designed by www.professional-logos.co.uk we say THANK YOU! 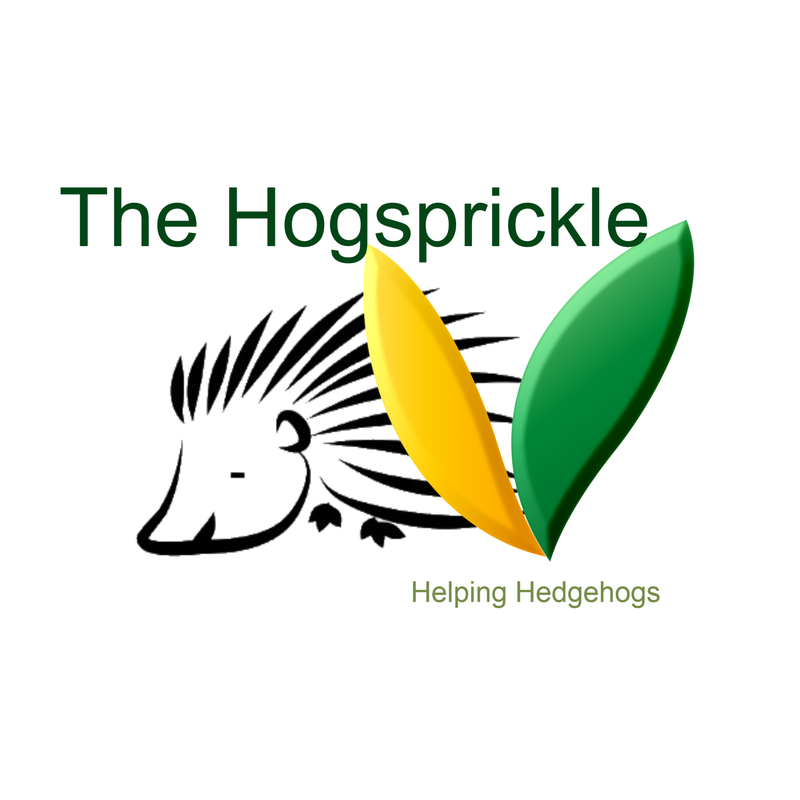 Helping hedgehogs and other wildlife in distress in Ireland, housing, transport, feeding etc can be not only very time consuming but it gets expensive. Being a Veterinary Nurse and Companion Animal Behaviourist I train dogs, and their owners, so I always say "The Dog Work Pays For The Hog Work" The Hogsprickle (hospital for hedgehogs - Hogsprickle get it?) For the last few years The Hogsprickle is self-funded, although we can accept gifts for our casualties. We are a small, hedgehog and wildlife rescue and volunteers give their time and transport with a willing, loving heart and I thank every one of them. Harry 2Toes and Spring having a wee tussle over their water bowl. Harry came in with a horrendous strimmer injury right over and around the top of his head, we could see his skull! A few months and he is healed and strong. Spring also had a strimmer injury but she got caught around her bottom and her tail was amputated. Both of them have a secure large safe area to make nests, hunt grubs and beetles and they have supplement feeding. Theses guys cannot be allowed into the wild as they cannot curl up into their defense ball due to scar tissue making it a bit hard for them. They are kept under permanent NPWS license and we hope that perhaps next year they will be parents.